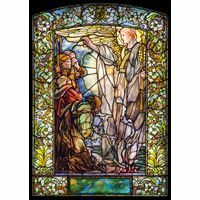 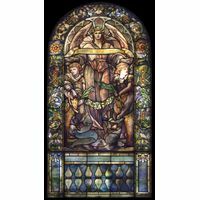 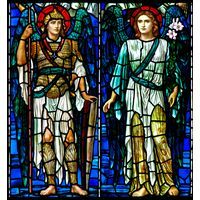 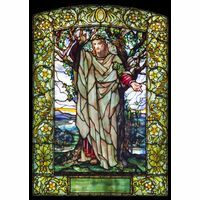 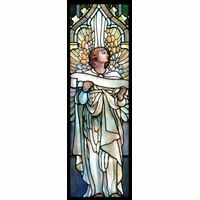 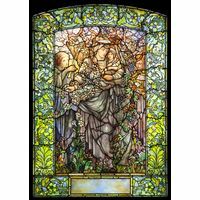 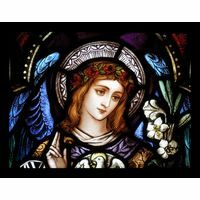 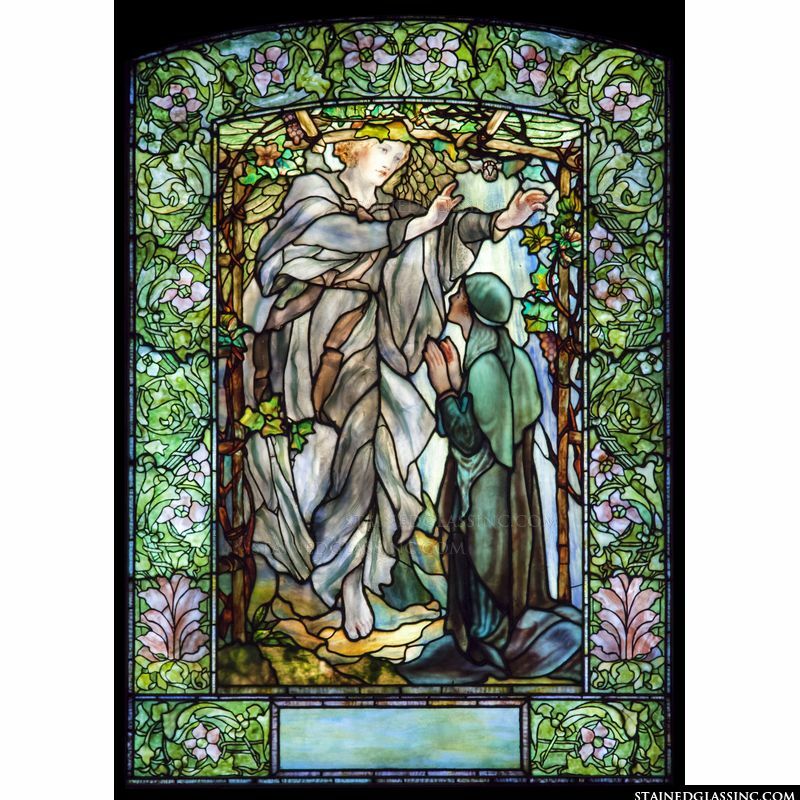 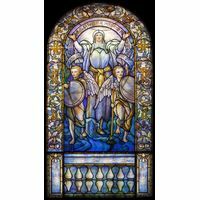 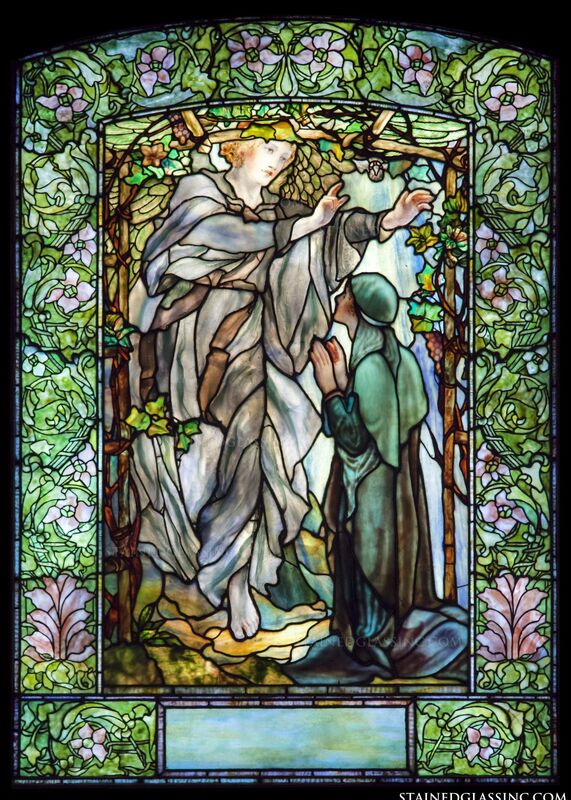 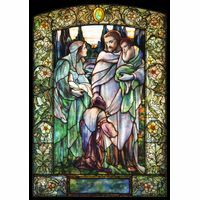 An angel stands protectively before a woman in this beautiful Tiffany style stained glass window panel. 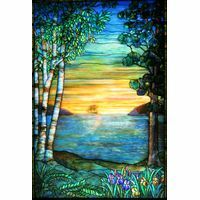 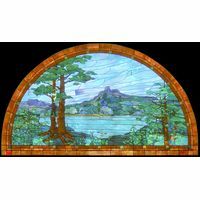 The artistic rendering in this stained glass panel is sure to take a viewer's breath away with its range of lush colors and intricate patterns. 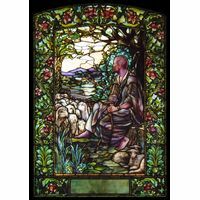 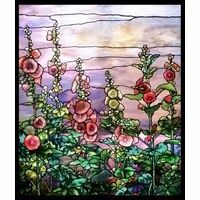 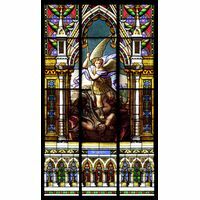 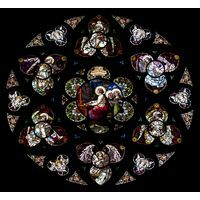 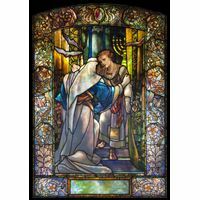 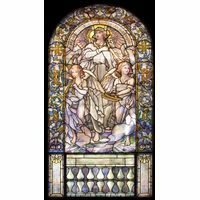 There is so much to behold in this stained glass design in terms of imagery and detail that it is sure to make a bold statement in your church, home, or office.